School is about to start again, and that means for most kids new clothes, new school supplies (my favorite! ), and starting off the schoolyear with a new teacher! Teachers work so hard to make learning fun and do so much. Today I'm sharing some fun, inexpensive, and sweet gifts you and your kids can make to give to the teachers on the first day of school! 22. 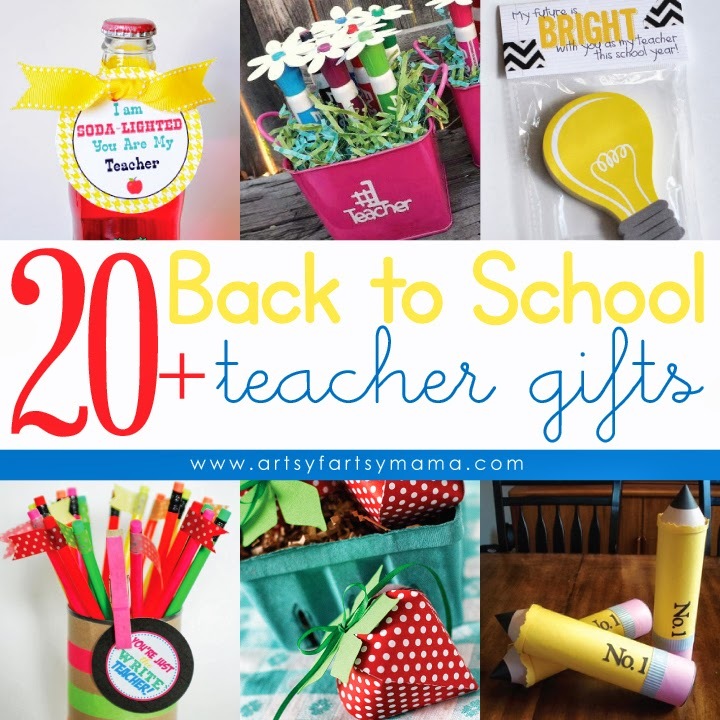 Back To School Pencil Holder Teacher Gift by Snap! Great round up of ideas, can't wait to check them out, thank you for sharing! Love the soda one! WOW, what a great round-up! You've found some amazing projects for all of us! So fun! Love all the different ideas! 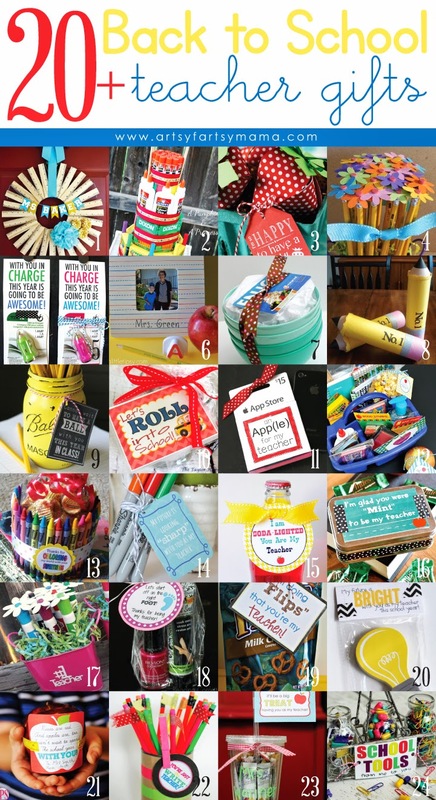 Thanks so much for including our Basket of Supplies with Printables! Fun ideas. We also give travel packs that they can keep handy in their desks.